In just a few more days it will be 2016, a New Year. However, for many Muslims around the world, we are still in 1437 AH and the Islamic New Year doesn’t start until October 2016. Trying to explain this to children can be challenging, so I’m always looking for fun, educational ways to teach my daughters how the Islamic calendar correspondences to the Georgian calendar. 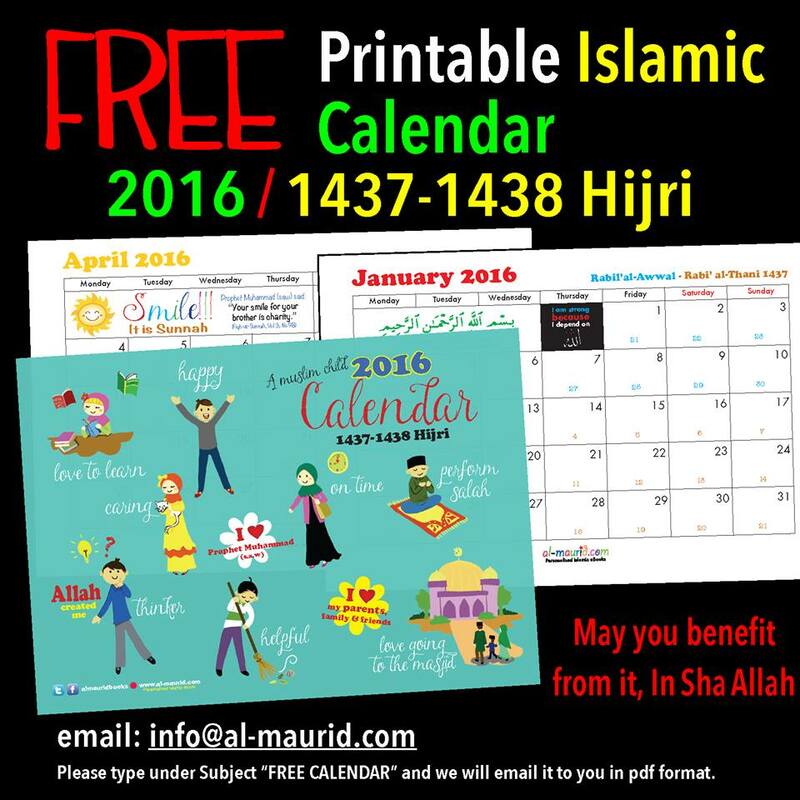 They are offering a FREE printable Islamic calendar for download. Email info@al-maurid.com to learn more about the ebooks. I’m heading to the library to print it out today! I think I’ll get three copies, one for each girl. Don’t forget to support this wonderful business who is offering this service.